Our worship services are enhanced by the presence of different people from various faith backgrounds. We welcome everyone. We really want you to be with us and be a part of who we are. The fact that we are all very different and have very different tastes in music, poetry, preaching and elements of a worship service creates the opportunity for us to appeal to a wide range of tastes over a broad swatch of time. 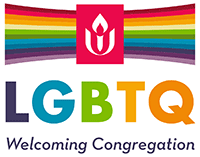 Our Minister, Debra Guthrie, likes to say that UU worship is like the weather in the South, if you don’t like it just wait and it will change. We are open to the continuous revelation of the spirit or inspiration. We aspire to grow, change spiritually and hope to improve our worship services continuously.